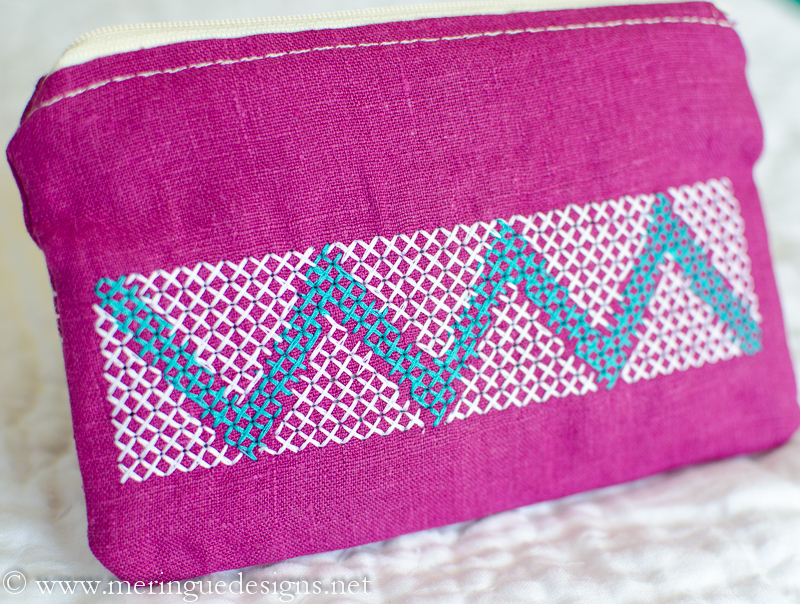 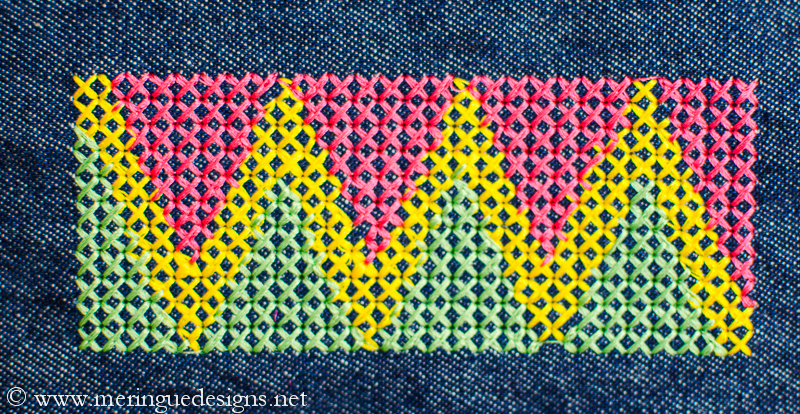 Border design is made up of large open cross stitches, just slightly irregular so it looks handmade, in a zig-zag pattern. 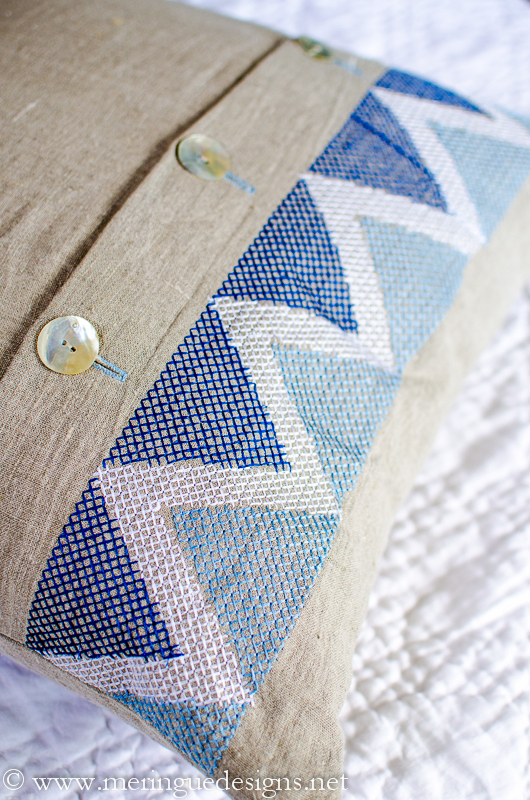 Perfect for that comtemporary look. 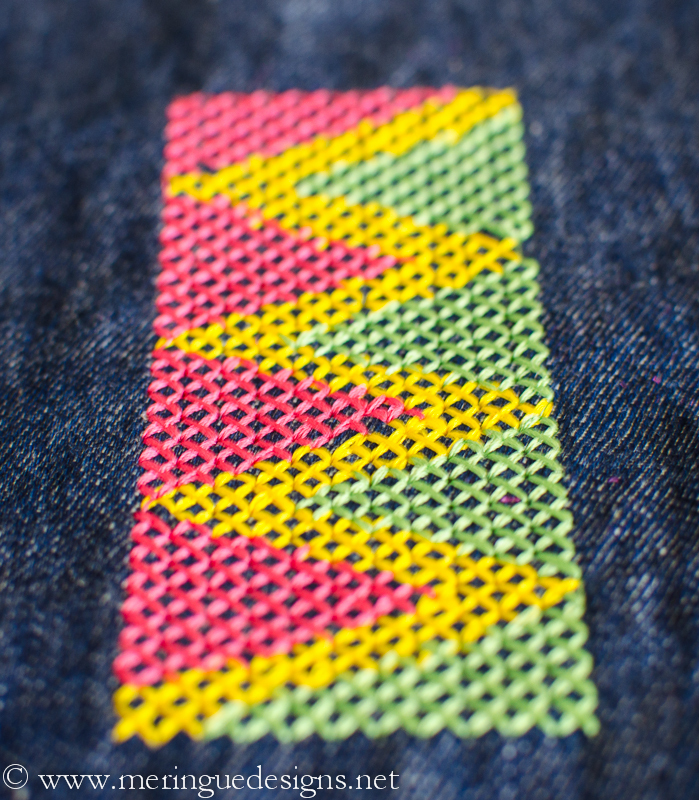 *Use the continuous border design when you will be rehooping the design to make a longer border. 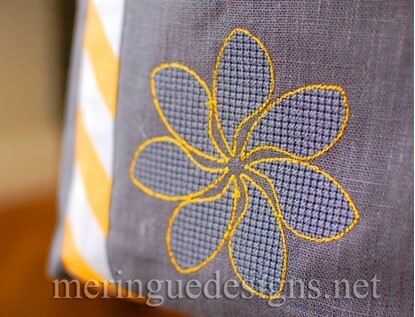 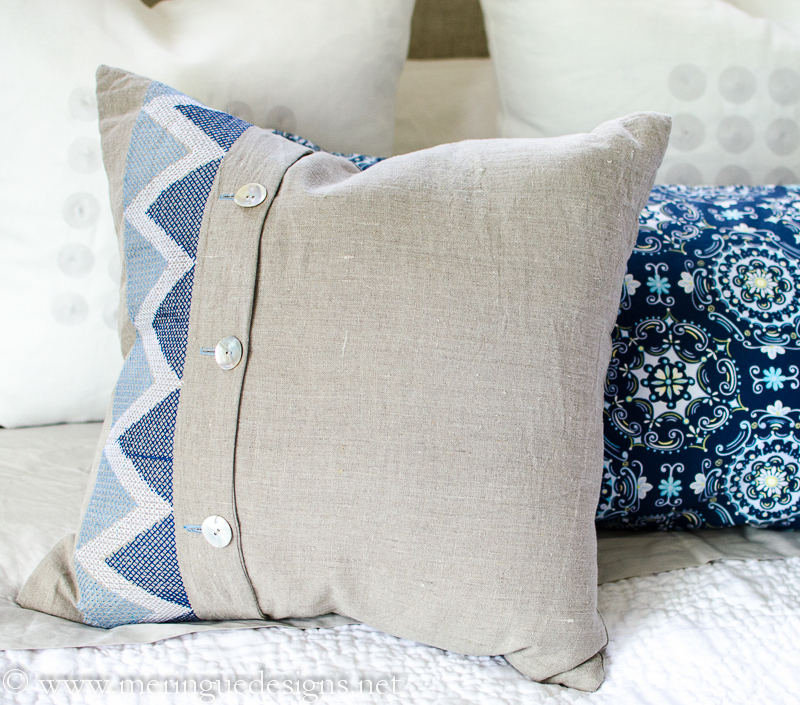 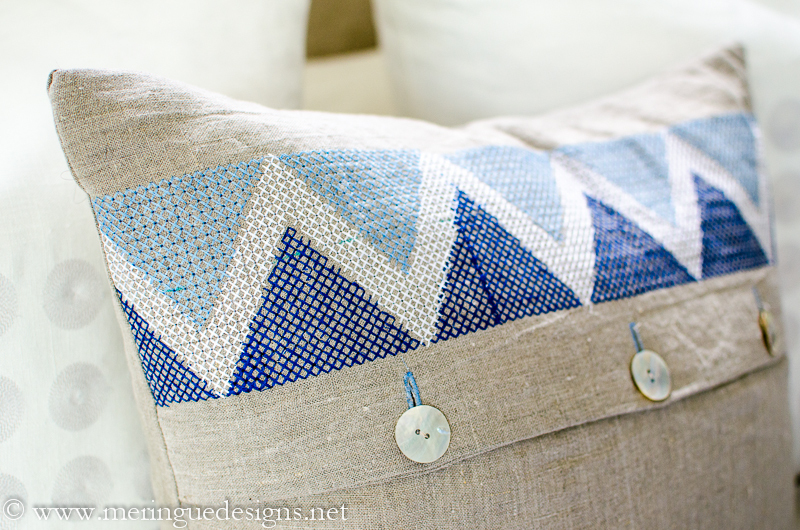 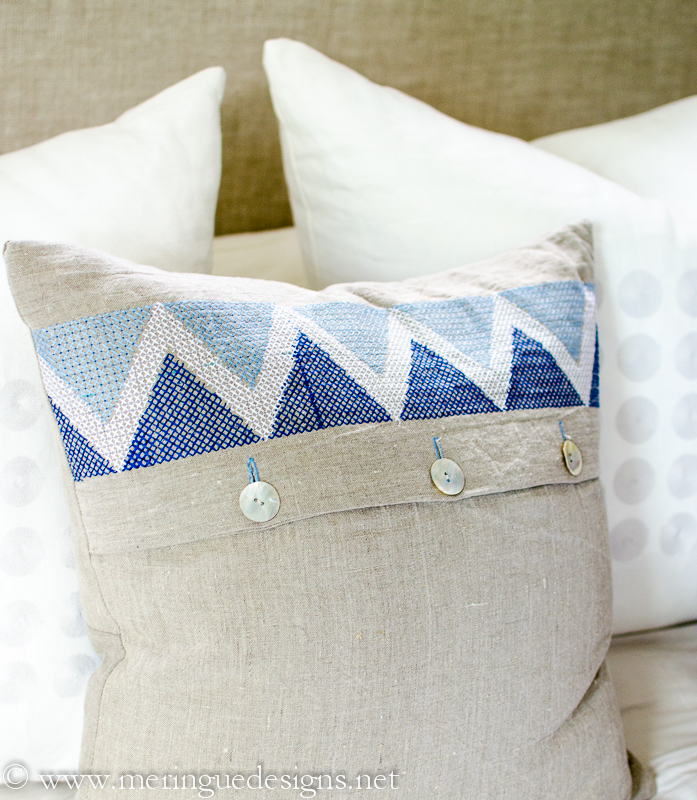 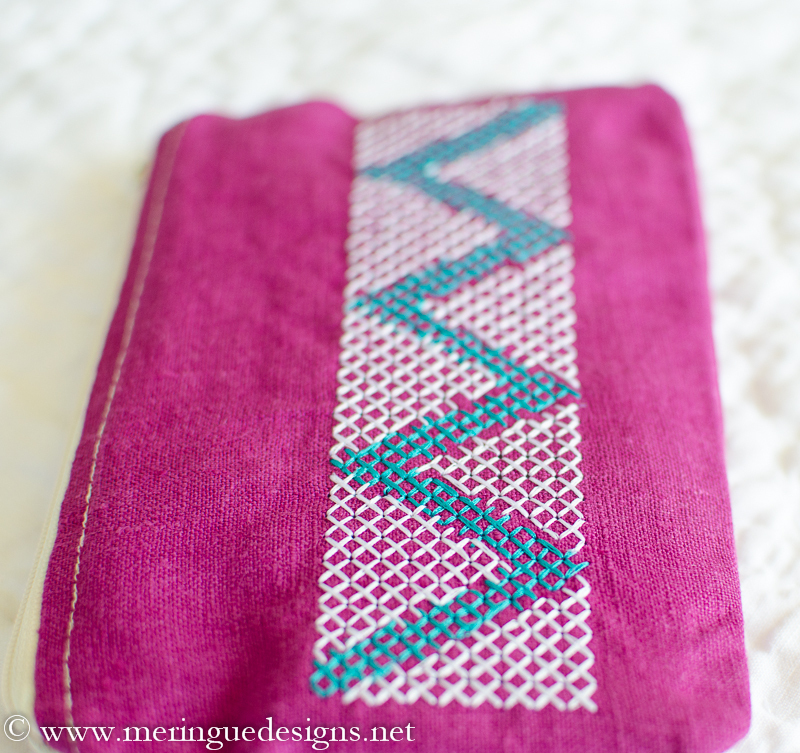 A little more about this pillow on the blog.